Can You Really Make Money Selling Jewelry Online? If you’re going to try and make money selling products, jewelry does often seem like a natural place to start. After all, it’s one of those products that people can never quite get enough of, regardless of how many jewelry pieces that they already own. Jewelry is also something that people will buy regardless of the economy. In fact, you notice people buying jewelry even when they don’t really have any money to spare. Much of that comes from the fact that jewelry simply acts as a way to feel good and it’s a little bit of luxury. But, should you try to make money selling jewelry online? Is this a realistic goal or just another area that sounds much better than it is? Well, the first thing to consider is the type of jewelry that you plan to sell. You might consider selling jewelry that you own if you have a large collection of jewelry or if you have a good place to find cheap jewelry. For example, some people enjoy trawling second-hand stores and this can be a great place to find bargains, as long as you know what you’re looking for. When it comes to selling this type of jewelry, one of the challenges is figuring out how much the jewelry is actually worth. If it’s costume jewelry, then you’re selling based on appearance, rather than any inherent value of the piece. However, even then, you have to seriously consider what people are likely to want to pay. In contrast, if you’re selling quality jewelry, then there are a range of factors that can influence the price. You also have to determine whether the jewelry is real or fake. In the case of expensive pieces, you may even need to be able to prove their authenticity. These tasks are all very achievable but they are things that you need to seriously consider before trying to sell jewelry. If they sound too complex, you may want to consider an alternative approach. As for actually selling jewelry online, one of the most obvious ways to do so is eBay. Now, eBay is certainly a site that lets you sell pretty much anything and there is a large amount of jewelry for sale on there at any given time. 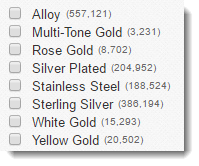 For example, the image below is the listing counts for just some of the metals used in jewelry. There are alternative places to sell jewelry as well, such as on Amazon. There are also other more obscure sites but most of those cater for homemade jewelry rather than reselling jewelry. I do also want to note that sites like Amazon and eBay (especially eBay) can make selling difficult. In the case of eBay, the company places a strong emphasis on the rights of the buyers, over and above the rights that sellers have. In some cases, sellers have found that they have been forced to refund buyers or have even had their accounts closed altogether – even though they did nothing wrong. So, selling jewelry through these sites can end up being stressful and even a little risky. Honestly, the biggest challenge of this approach is simply competition. There are so many different places out there to buy jewelry, both online and offline. Unless you are selling something unusual or unique, you probably don’t have a chance of successfully making money this way. And… even if the jewelry you find is unusual, you still have to get people to notice it. With all the listings on eBay and Amazon (not to mention other sites), getting your products noticed is no easy task. In many ways, selling homemade jewelry is easier than selling jewelry that you own, especially as people are getting increasingly passionate about homemade products. There is also a large number of sites out there that specifically cater to selling homemade products. Perhaps the most well-known of these is Etsy, which hosts upwards of 12 million different products right now and continues to grow. While the competition on the site is intense, there is also a huge amount of customers that buy products from the site, which can make it worthwhile. You could also make your own web store on a platform like Shopify. It's quite a bit more complicated to set up, but there are systems in place, including internal training, YouTube videos, and bloggers you can follow that can teach you the process. It's much harder to get exposure when you're just one drop in a sea of online ecommerce stores, but the rewards can be much larger too. Rather than competing for just Etsy traffic, you now have exposure to the entire internet, and you don't have to give Etsy a cut. — Just make sure to brush up on your SEO skills. With your own jewelry, you do have the advantage that whatever you’re making is unique and may be unusual as well. But, you do still face the challenge of getting it noticed. After all, the number of products on Etsy is extreme, which makes for intense competition. One way around this is to pick a jewelry type that is a little bit unusual or highly specialized. 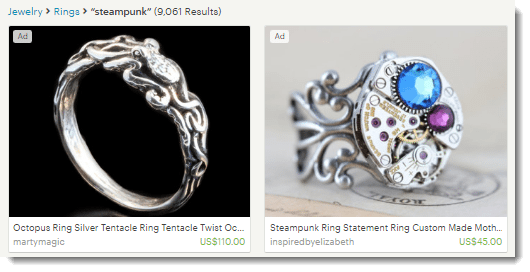 For example, there are around 6 million different pieces of jewelry on the site but only around 118,000 pieces of steampunk jewelry and only around 9,000 steampunk rings. This is still a lot but steampunk is also a rapidly growing subculture. In contrast, there are less than 6,000 pieces of Doctor Who jewelry and only around 500 rings. Many areas, like steampunk and Doctor Who, might not have an extreme number of sellers but they do have a passionate following of customers. So, you may have better luck selling in a specialized niche like this rather than selling jewelry in general. You can also turn to other sites for selling homemade jewelry, as there are quite a few of them out there. Some examples include Bonanza, Zibbit and Art Fire. Each site has its own unique aspects and fee structures. The more obscure sites may be better If you want to get your products noticed but they do tend to have fewer customers as well, so you might not end up better off. It is certainly possible to make money selling homemade jewelry online, especially if you are creating something that is a little unusual. You may also have a better chance if you can build up a positive reputation with customers on the site you choose and if you pick an area that has lower competition. Even so, being successful in this way is certainly an exercise of patience. It’s also important to note that you do have to deal directly with customers, which may include emailing them about specifications and receiving feedback. Personally, I find that aspect especially challenging, as customers are often unrealizable and you can often end up with bad feedback or out-of-pocket, even if you don’t do anything wrong. Regardless of whether you sell jewelry that you own or jewelry that you make, the process of trying to make money selling jewelry online is never simple. Not only are you sourcing and producing the product, but now you're marketing and shipping the product too. It's a lot of hats to wear for a brand new business owner. Does that make selling jewelry online a waste of time? Not at all! If it's a passion project, it'll be a great experience. One alternative for those of you (including myself) that don't want to actually make and sell products out of your home is to become an affiliate. You can make money from as an affiliate simply by promoting products from other companies. You don’t make as much per sale as you would from selling physical jewelry but you also don’t have to worry about having stock/inventory on hand or shipping products out. Since you don't need to make, market, sell, and ship products, you can focus just on the marketing aspect. You still get to participate in the process of selling jewelry online, but by focusing on just one area, you can master it, and then grow your earnings faster. Affiliate marketing is what I do for a living, although I don't sell jewelry. I focus on areas of computer software, and of course, teaching people how to be an affiliate (with the website you're on right now). You can do affiliate marketing with just about any topic, so if your only reason to sell jewelry online is that you thought it was the easiest way to make money, you could potentially pick something more interesting to you like fitness, family, dating, computers, drones, or recipes. As an affiliate, you will need a website, no matter what! It's not like some the other options above where you can leverage other company systems like Etsy or Amazon. Getting your website found in Google is certainly the most challenging part of affiliate marketing, but it's doable for anyone that can write a basic article about a topic they are interested in. Whatever approach you take, having your own website lets you get ahead of the competition. Now, if you’re selling products on a site like eBay or Etsy, your main tools for getting your products noticed are having good images and good descriptions, as well as (possibly) paying for ads. People search Etsy for stuff, then run across your store based on what you offer and what keywords you use. But, with your own site, you have so much more potential! Think of how many people use Google versus Etsy! Each of those entries appears to be a personal blog where the owners sell a range of different products. Doing it this way is certainly more effective (long terms) than trying to get noticed on Etsy. You could even sell from your own site and from Etsy if you wanted to, although the workload would be higher. At the end of the day, selling products from your own site is a powerful way to make money – regardless of whether you have physical products or not. The biggest challenge of building your own site is not the actual “website making” process. It's getting traffic – a similar issue to listing your goods on other sites. This challenge might sound like a deal breaker but it doesn’t have to be. Instead, with the right training, you can learn everything you need to know about building a site and driving traffic to it. For training, my main recommendation is a site called Wealthy Affiliate, which offers comprehensive training on every aspect of building and running a site. An additional advantage of Wealthy Affiliate is that it is a community-focused site. This gives you the opportunity to talk to and learn from other members who are building their own sites. Doing so is an amazing way to learn and people often find that the community aspect helps them to figure things out much better than they could on their own. Do you run your own jewelry focused website? Drop a link below and I'll feature it here so others can see what you've been working on. I have a friend who just started selling on ebay but didn’t know about all the fees until he got hit by it. Building a website would be a great alternative to host all his products (not just jewelry). I’m going to share this site with him. Very good information. Thank you. I was going over the whole “jewelry niche” thing in my head as I was choosing one for my first website. I’m really happy I found this article – I was lacking confidence and you proved some very valid points – perhaps I’m going back to jewelry as my next project, haha! What do you think about the possible shipment damage, which is what jewelry is most susceptible to? Wow interesting, I’ve never thought about selling jewelry online to make some money. I guess there a lot of ways that you can earn money now a days. Your website has a great deal of information. I like your reviews of multi-level marketing programs. I noticed that you do not recommend them, as far as I could tell. Is there an online marketing program that you do recommend? Is there an affiliate that you recommend? I am in a tourist driven market. Thanks Nathaniel for sharing such useful information. I don’t sell jewelry myself but I do have friend who is interested to sell his homemade jewelry online. Never heard of Etsy before. This could be useful for him as he might be interested to use it as a platform to introduce his masterpiece to a bigger market. Tried ebay and amazon before but unfortunately things didn’t went the way he wanted. Just like you said, These sites are leaning more toward buyers. I enjoyed your post on selling jewelry online and see it could really apply to selling anything online. I personally have sold Avon, Melaleuca and currently Yugioh cards on Ebay. There are a lot of fees involved and there selling policies do cater to the buyers. Great information and thanks for the post! Wow! That was another awesome post from you Nathaniell! Then when I searched instruction to make the hobby horse I did found few blogs that did give instructions and sell then they also sold their handmade hobby horses and in fact, they had waiting lists for them because there were more buyers than they could produce. I should definitely make my own site and sell my product on it. Thank you for a great advice! Hi Nathaniell, some people just seem to have the knack for selling their crafts online. I tried it too but but have been ripped off by people on Ebay who constantly use the system against you. Even my hubby who was a brilliant seller on Ebay with 100% feedback got just one other trader working against him and got not just my hubby kicked off Ebay but because my account was from the same house to the joint account, they stopped me selling too. We can still buy but not sell, it’s outrageous and I just don’t bother with Ebay at all now. I have an Etsy account as I was wanting to sell staffs, staves wands and mystical toadstools that I was making but it was soul destroying trying to get things out there and noticeable to people. So I stopped doing something that I loved I haven’t listed anything in ages and wondered lately if it is still worth it but you have clarified that for me that it isn’t and having my own website is the better way to go. Good advice and really enjoyed your article. Hey, interesting – my best friend started making jewellery at home around a year ago. She learnt everything about it herself, just by searching around online. Well, in her first year she turned a profit – and now is slowly building it up. She sells by promoting her stuff on social media, via a website and also on ETSY! I personally have looked into what I could do on etsy…but I’m just not arts or crafts type driven and I’m not sure what I could do that wouldn’t be too time consuming. I know my friend does spend a lot of time on her business…fine if that’s the only business you want to do, but I’m looking into creating several streams of income, so I need to be able to manage it. I am not someone who wears or buys jewelry but I do believe that you can sell anything online. As long as you have a great site, are able to present and promote your products then you can sell it online. More and more people are turning to the internet to research and purchase products online. Your website does this very well. Some of my family have bought jewelry online and are delighted with it. I liked your Dr Who Tardis split necklaces they beat friendship rings hands down. Do you sell many of these? I actually don’t sell the jewelry, I was just using it as an example. Many years ago I attempted to sell hand made jewellery I did. It was more for the fact that I enjoyed doing it and it was starting to pile up everywhere around the house! I didn’t have much success with it at all because I didn’t research properly on the best places to sell and proper marketing strategies. Long story short I ended up giving most of it to my friends and relatives! Now I’m starting in the affiliate marketing online and I see a much brighter future ahead of me! Thank you a lot for the tips! Great site Nathaniell! I don’t anything about jewelry, but I like what you taught me about selling jewelry. This information can be used for other niches too. It can be very hard to resell jewelry online like you said there is some much red tape with amazon or ebay that caters to the buyer. I also like how you told us about Etsy which is a site I heard of but never knew what it was. 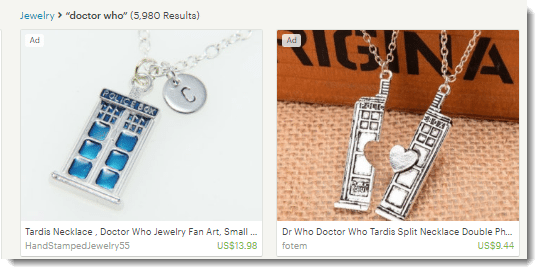 You said it’s a great place to sell handmade jewelry especially specialty jewelry that has a tight following like Doctor Who. Anyway, awesome information. I learned a lot. That would be a very interesting change to the eBay setup – to allow for buyer feedback, then allow sellers to not sell products to people with a lot of negative feedback. I’m sure ebay monitors buyers for fraud if there’s a repeat offender, but there’s really no way for buyers to protect themselves and their reputation. Even though you’re not good enough to make your own jewelry, that’s the beauty of niche marketing! We can pick the things we are interested in and good at, and start a business based on that. Other people will have other interests, and they can start a business on that. Sometimes you’re the buyer, and sometimes you’re the seller! great advice here. I know that some people make their own jewelry and it’s a passion, so platforms like shopify or wens tie building platforms are great to get their stuff out there. But my favorite suggestions is that of affiliate marketing. I’m a huge proponent of affiliate marketing because there are some big cuts as well as the fact that there is no overhead. Making your own jewelry is great if you just want a hobby and enjoy being crafty. But once you get a bit more serious and want to make some money from it, then you need a business strategy. Selling IRL definitely has its merits, but going online is the way to reach more people, with less effort. I hear that China is a good place to start with getting your jewellery designed and getting your production sorted out. Have you had any experience with dealing with China? There are of course a few concerns like shipping cost and reliability but the scariest thing is of course getting your hard earned design knocked off ! So many risk are involved. What advice do have for a budding online seller? Haha. I actually lived in China for 5 years, so I know that it’s definitely a good place to start with custom orders like that if you want to order in bulk. The difficult part may be doing business in Chinese, or speaking in broken English to suppliers. The more difficult part will be getting a good deal because Chinese businessmen are notorious for being cutthroat! But of course the US and other countries do billions of dollars worth of business there each year, so deals get done somehow, right? I’ve known several people who have had their go at selling merchandise such as jewelry online. Most of them were unsuccessful but I think they could have benefited immensely by following your advice of choosing a highly specialized niche such as Dr. Who or Steam punk to promote to. This probably would have dramatically increased their odds of success. That’s the thing about starting any business…sometimes you start out with a few wrong ideas about the way things work, but you can tweak them along the way. They may not have been specific enough in their target audience, and just wanted to promote ‘cute’ or pretty jewelry. But I think with going with a much more specific type of audience they could have sold to a much smaller market, had a much clearer path of where and how to promote their jewelry. Hey Nathaniell, One of my aunts used to sell jewelry on ebay and she loved it (although she started out selling shoes, lol). Anyhow, that got me wanting to start up an online business as well, so I did. I figured if she was doing it and was able to quit her job, then so could I. So I tried that for a while but did it differently than she did. She went to thrift shops, yard sales and flea markets and found jewelry that she new that she could make a profit off of. Then she went home and listed it on ebay and made a killing off of it. I on the other hand bought from wholesalers and dropshippers. But actually I would list them first, then I would buy them. Making a profit before buying and shipping directly to the customer, therefore I didn’t have to deal with any inventory and keeping things in stock, nor did I have to worry about actually shipping the product at all. The dropshipping company took care of all of that. I made pretty good, but wanted to be a better marketer and not have to worry about someone giving me negative feedback. I also wanted to make more money on a residual basis without having to list things all the time. So to make a long story short, that is when I came across Wealthy Affiliate and I have not regretted signing up. Now I am well on my way to making a descent living online. This is absolutely amazing. Thanks for a great post and I wish you all the best. Those are both awesome strategies. In fact, I’ll have to go back and edit this content to reflect those ideas. Selling before you’re buying is definitely a strategy I’ve heard about, but never followed through with doing. It’s a bit confusing to me on how you’d deal with returns. Do they ship it back to you or to the manufacturer? Either way, I’m glad to hear that you’ve seen some success with this strategy and are looking to expand into other areas of online business to grow your income! The competition on eBay is what always prevented me from giving me it a shot. Even in the early day, I wouldn’t have know where to start. Luckily there are some pretty good classes and trainings available. Thanks for sharing these resources. I’ve been thinking about getting another stream of income going, maybe not in jewelry, but something like that. If you’re already making money in affiliate marketing, something like Amazon or Ebay is definitely worth checking out depending on what niche you’re in. If it’s in physical products, then it would be worth looking into dropshipping, or even storing some inventory and selling stuff through these websites. It does take a strategy, and won’t be easy, but it’s worth investigating. But for me, I like to stick to strictly online business so I can take my work with me anywhere I go. With inventory, I always need someone on watch to be shipping orders and doing customer service. Still, there’s no reason to not look into other options. With regards to jewelry, I also think it would be cool to make custom-order jewelry on a site. You’d need a coder to make it so people could customize what they want based on a look though. I’ve seen this done with wedding rings and it was really fun to play with. Much easier though would just be reviewing and recommending different styles of jewelry and which websites you can buy them from. If you’re a newbie, that’s the least complicated, and least expensive way to get started selling jewelry online. Maybe there is competition for selling jewelry online, but that’s a GOOD THING! Competition shows that there are people buying jewelry online. The women in my life love jewelry. My girlfriend’s jewelry box looks like a travel trunk. I love that I can easily buy jewelry online. I have no doubt the demand for jewelry will continue to grow. So if someone wanted to sell jewelry online and followed your recommendation for online training, I’m sure they will do well. haha. You sound like a man with some serious secondhand experience in jewelry! But you are absolutely right that if there’s competition, it means that people are making money in the space. Although you’d think that most women would want to go shopping with friends and trying things on before buying, that’s not always the case. Sometimes you need something for an event and just don’t have time to make it to all the stores. Buy online and get the best you can do with the time allowed. And some things will not be available in local stores, especially if you are not from the big city and there aren’t a lot of shops around with a variety of products. Men? Definitely shop online for stuff like this because who wants to travel all the way to the store when online is good enough. I imagine you would get a lot of personal satisfaction out of making your own jewellery, and then being able to sell it, rather than selling jewellery you haven’t made. However selling on sites like e-bay has never really appealed to me, although I know some who love it. Selling via your own website would be my preference too. As long as you gain some knowledge about SEO, your own website can make you good money without having to dispatch the goods yourself, and therefore a better choice in my view. You’re right about learning all kinds of things about building websites and SEO, and that can be used to go into business related to other topics. Who knows?! Some people may have started selling jewelry online because a friend recommended it, or because they just didn’t have any other better ideas. But once you figure out that ANY topic can be turned into a business with affiliate marketing. I think some people will start out with Jewelry, but find out that they had another secret passion they wanted to turn into a business all along! But even within the topic of jewelry, you can really dig into different niches like wedding rings, engagement rings, friendship rings, wooden jewelry, men’s jewelry, making your own jewelry, and many more topics! I have been considering opening some kind of online store.. 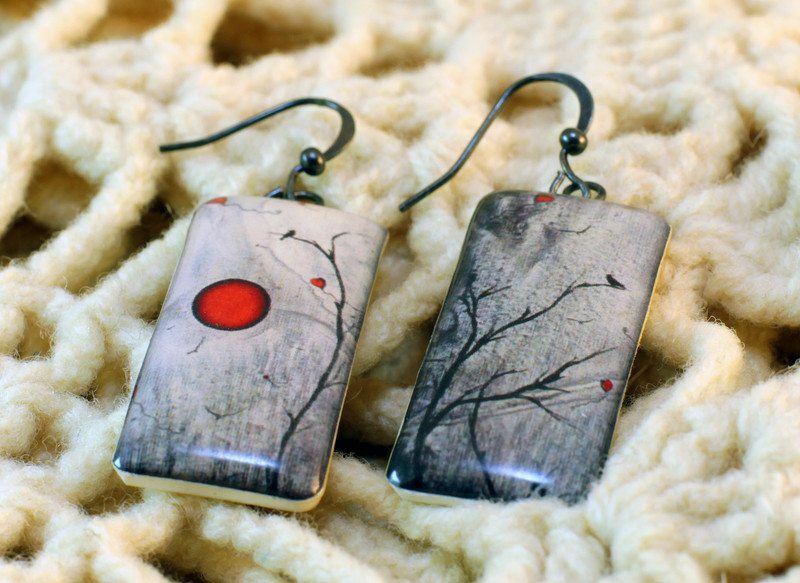 I like the idea of selling jewelry because the product is small and light. Easy to ship, package, etc. But, You have brought up an excellent point, with affiliate marketing, I wouldn’t even have to have all that inventory and the issues of running an online store. I am definitely going to try to learn more about affiliate marketing! Thanks for all your help! Yeah, as far as inventory goes, jewelry is pretty easy to find a place to store! But not even talking about storage space, sometimes products don’t sell as well as you planned, meaning you can have unsold goods sitting around that you already paid for and aren’t making you any money. Still, you can use one other other method to compliment each other. The physical jewelry sales can compliment the online affiliate stuff, and vice versa. You could even do something like Amazon FBA, and have goods sold on Amazon, Etsy, as well as affiliate sales. There are a lot of possibilities!